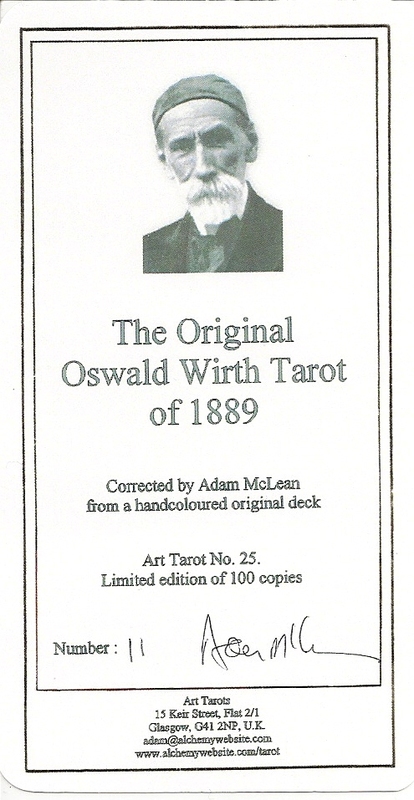 The Oswald Wirth Tarot was created in1889 as a majors only deck. It has a Marseilles foundation, with some changes based on the ideas of Eliphas Levi. 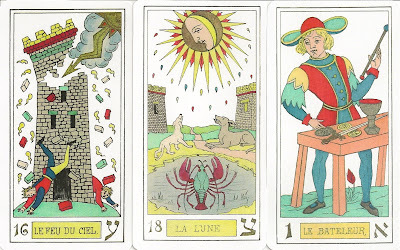 These cards were used to illustrate Le Tarot des Bohemiens by Papus. 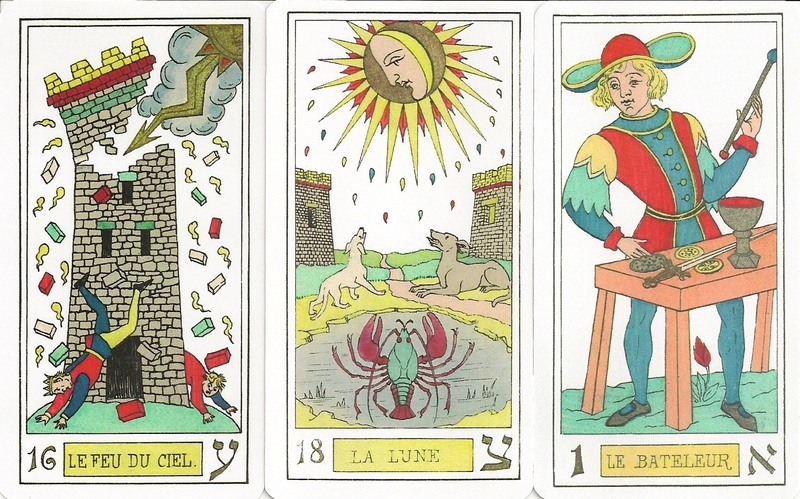 The deck was printed as line engravings then coloured by hand, as was usual with playing cards at that time when colour printing had not fully developed. The colouring of the cards was often messy, with the colour overflowing the lines and often not entirely filling the areas, because the colour was applied using stencils and relatively unskilled labour. Adam McLean has cleaned up the images, sensitively correcting these flaws, to produce a deck that reflected Wirth's original conception.